ESA/D. 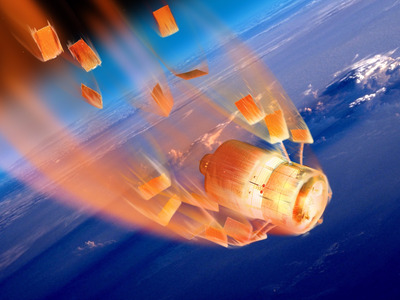 DucrosAn illustration of Europe’s ATV spacecraft breaking apart and burning up as it reenters Earth’s atmosphere. 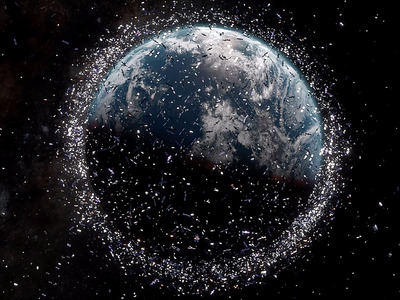 Experts worry that not cleaning up space debris could lead to increasing numbers of collisions and a runaway effect that would make it too dangerous to leave Earth. But, of the manmade items in space that are larger than your fist, orbiting satellites are a minority. 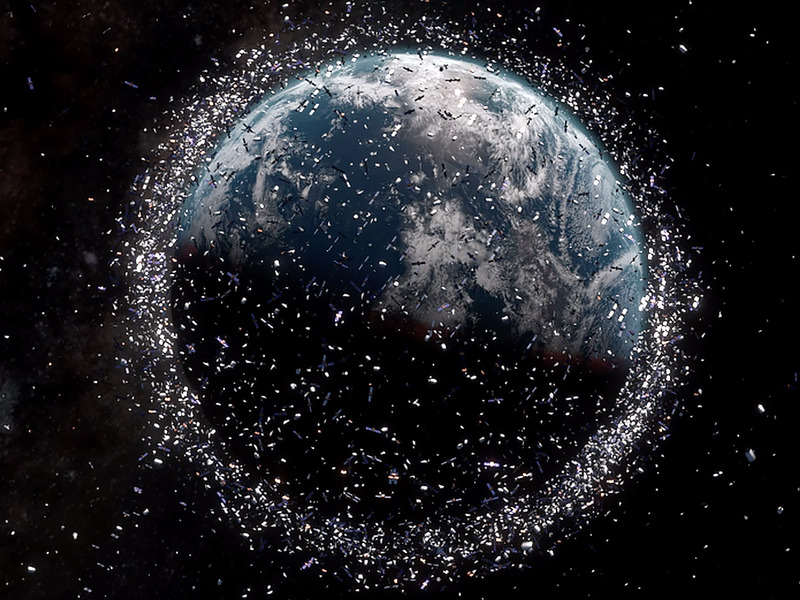 About 95% of what’s out there is space junk: out-of-control space stations, used rocket parts, dead satellites, lost astronaut tools and more. “This debris can stay up there for hundreds of years,” Bill Ailor, an aerospace engineer and atmospheric reentry specialist, told Business Insider. Just one collision in space can create thousands of new high-speed, out-of-control pieces and threaten other spacecraft. Meanwhile, perhaps 170 million pieces of debris larger than 1 millimetre — such as flecks of paint and bits of explosive bolts — move around Earth at tens of thousands of miles per hour, according to the European Space Agency. “Countries have learned over the years that when they create debris, it presents a risk to their own systems just as it does for everybody else,” said Ailor, who works for the nonprofit Aerospace Corporation. Andy Kiersz/Business InsiderThere’s a lot of stuff in space that shouldn’t be there anymore. The chart shows Russia has the most objects currently in space, numbering more than 6,500 objects. However, it’s not the biggest contributor to space junk, shown in red. 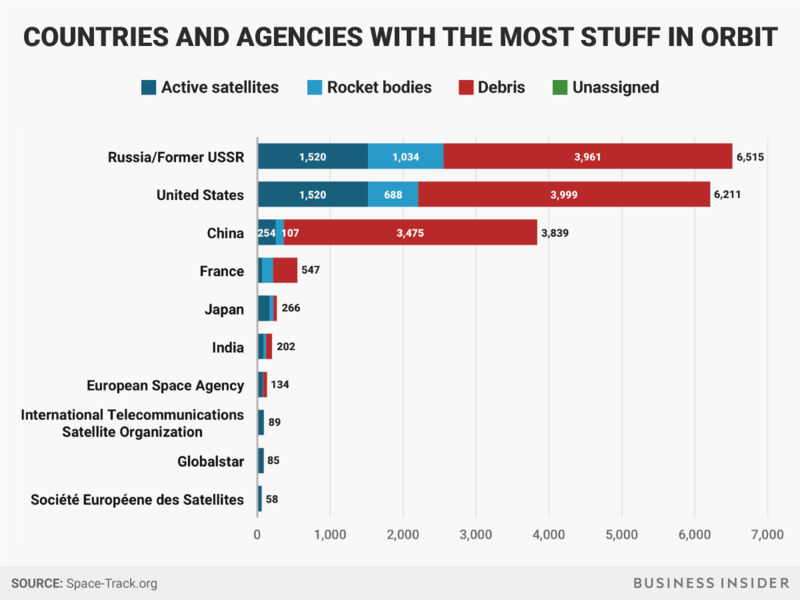 China has only recently ramped up its space program, yet it’s in a close third with 3,475 hunks of space junk. This is because the nation in 2007 destroyed one of its own satellites in an anti-satellite weapons test. But Ailor and others are eager to push the development of new technologies and methods that can lasso, bag, tug, and otherwise remove the old, uncontrolled stuff that’s already up there and continues to pose a threat. “I’ve proposed something like a XPRIZE or a Grand Challenge, where would you identify three spacecraft and give a prize to an entity to remove those things,” he said. ESAAn illustration of space junk. Satellites and debris are not to scale. “There needs to be something where nations and commercial authorities have some authority to go after something,” he said.